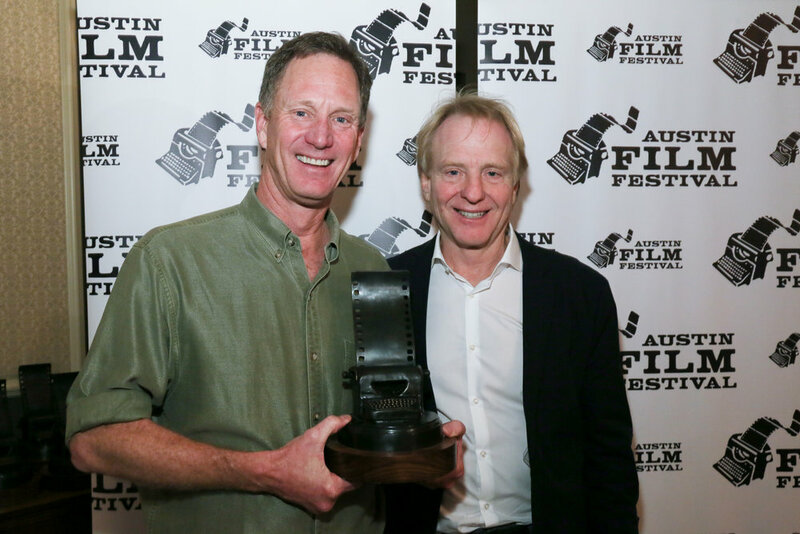 We were thrilled to receive the Jury Award for best feature in the Dark Matters category at the Austin Film Festival! At an event honoring such luminaries as Tony Gilroy and Roger Corman, Geoff and I were so honored to be singled out, especially at a festival that celebrates writers. Thank you to Harrison Glaser and the entire staff and corps of volunteers down in Austin. What a great event and what a fun town!